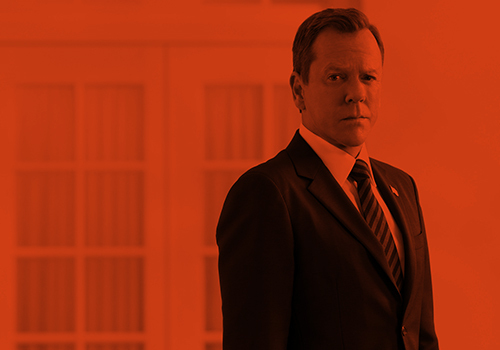 Kiefer Sutherland will only make guest appearances in a new version of 24, according to executive producer Howard Gordon. The producer confirmed media reports that a spinoff of 24 is in the works from franchise veterans Manny Coto and Evan Katz, with a new male hero being introduced at the center of the series. Gordon told TV Line that the proposed spinoff will pair this agent with an older, experienced female partner for an entirely new adventure. Sutherland is being eyed to make a few appearances as Counter Terrorist Unit operative Jack Bauer (Sutherland) during the season. This 24 is initially planned as a one-off event like the Live Another Day miniseries, but Gordon hinted that it could grow into a long-running series. Fox chairman and CEO Gary Newman revealed in May that his network was in the “early” stages of creating a spinoff to the main 24 program. Earlier this year, it was suggested that 24 might return without Sutherland, as he previously admitted that he couldn’t see himself returning to the series. Fox later clarified that Sutherland would always be welcomed back to the franchise. This entry was posted by Courtney on Monday, June 1st, 2015 at 11:29 pm. It is filed under 24, 24: Live Another Day, News. You can follow any responses to this entry through the Comments Feed.